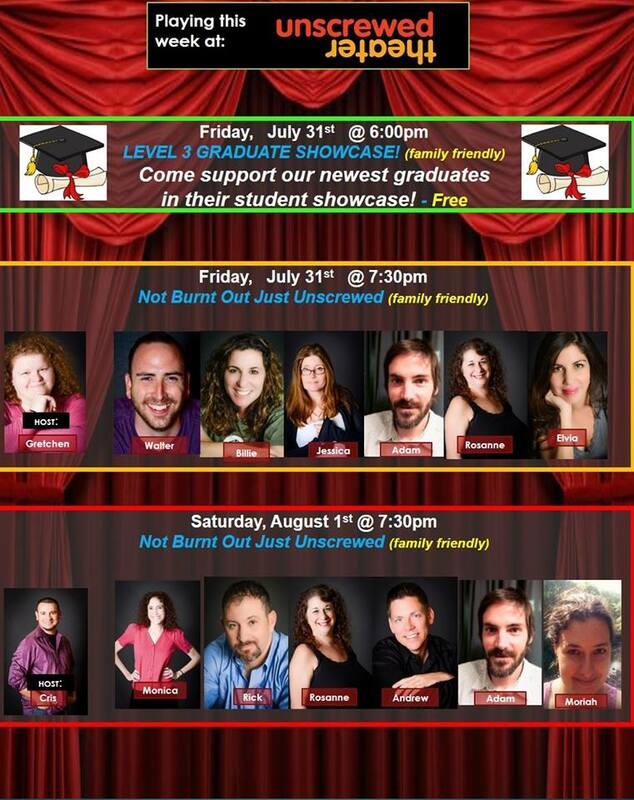 We make Tucson laugh through improv! Performed in the style of the TV show “Whose Line is it Anyway”, we are an inexpensive, hilarious entertainment for the WHOLE family. We perform every Friday and Saturday night! We offer family-friendly improv at 7:30pm both nights! We also offer Uncensored shows twice a month on Saturdays at 9:30pm. (2nd & 4th Saturdays of the month). Unscrewed Theater is located at 3244 E. Speedway Blvd, right across from The Loft! Parking is around the back (enter at Walgreen’s, 3200 E. Speedway).